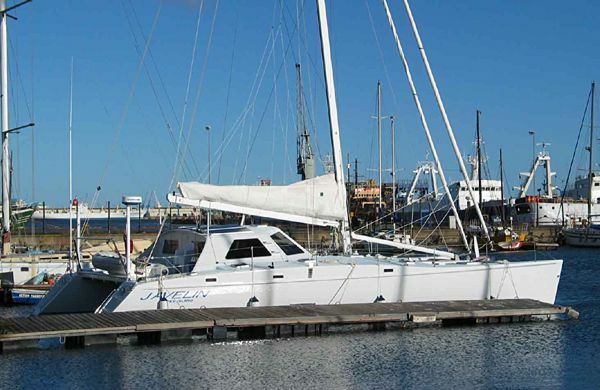 52' Santa Cruz 52 '99 "Bodacious IV"
This is a very highly modified and modernized Santa Cruz 52. 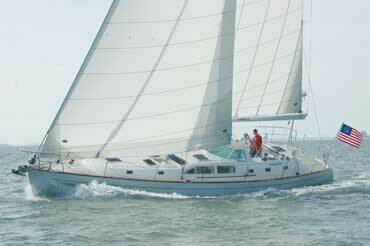 She has a taller mast, large mainsail and fractional jib with swept back spreaders and NO runners. The original fin keel and rudder have been replaced with a bulb keel and a very high aspect rudder. 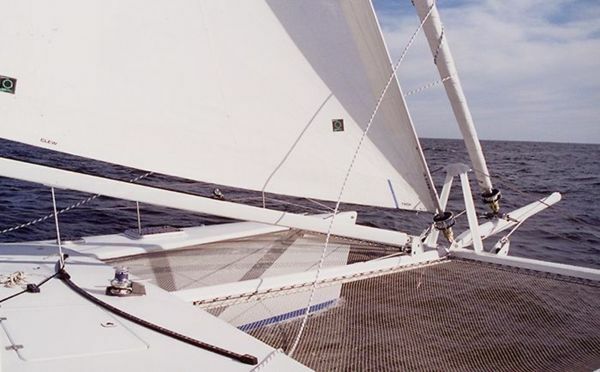 The original spinnaker poles have been replaced with an articulating bowsprit which has the advantages of both a spinnaker pole and a bowsprit. She has a pedestal to drive the primary winches. She is VERY fast and much easier to handle. She is on her shipping cradle in heated storage and absolutely ready to go. 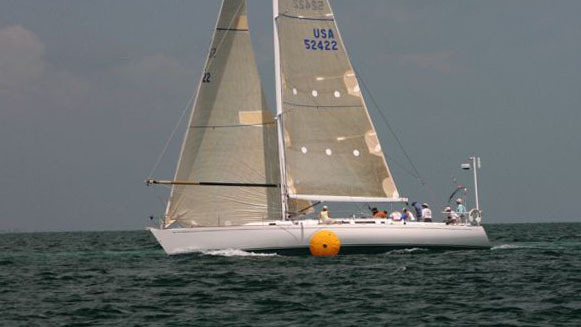 BODACIOUS IV started as a standard Santa Cruz 52 Racer/Cruiser. The Bodacious team has modified her to be lighter and faster with an added eye toward safety. Starting forward, the V berth structure is original, however the cushions have been removed. Some of the cabinet doors have been replaced with light mesh. The main bulkhead door as well as the aft head door are now watertight doors, making for three water tight compartments. The midship settee and pilot berths are original however the table has been replaced with a large cooler. The galley, navigation station, aft head and aft stateroom are essentially unmodified with the exception of some lighting. 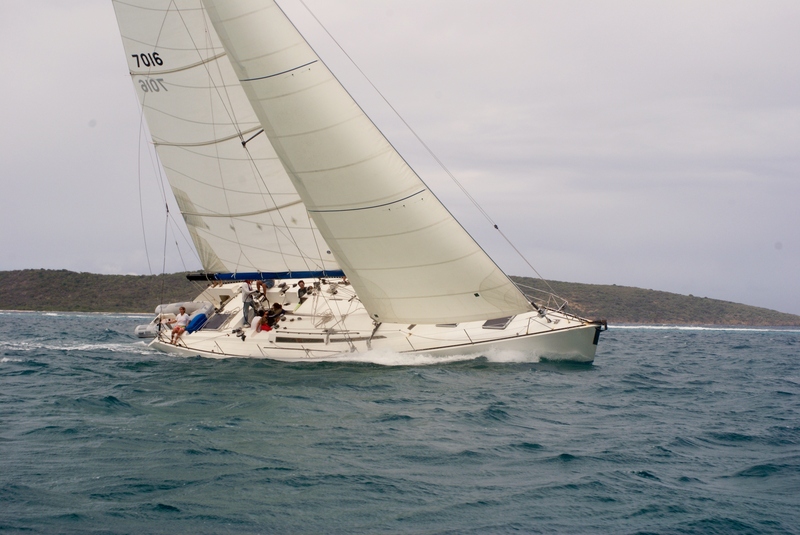 Sail area is 1368 sq ft versus stock SC52 tall rig sail area of 1248 sq ft versus stock short rig sail area of 1178 sq ft.